Fox News’ Tucker Carlson demanded an immigration activist answer questions about a claim he made on the air during Carlson’s show Friday night. The activist, Roberto Hernandez, claimed that the United States essentially had an obligation to let the caravan come into the country because the U.S.’s policies stymied Latin American countries’ development. “Well if you look at the role of the United States in Central America, in Nicaragua, in Honduras, in Guatemala, in other countries in Latin America, the United States has promoted wars to protect corporate interests in a lot of these countries,” Hernandez followed up. Carlson cut off his guest. “I’m trying to take you seriously. 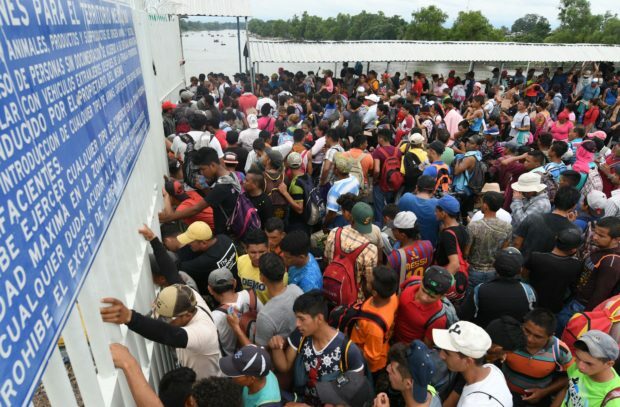 You said most of them in the first caravan are coming from Honduras. What war are you specifically talking about that the United States promoted whose interests were benefiting from that war and when did that war end? What are you talking about specifically?” Carlson asked.